When I read a literary magazine, I like to skip to the meaty insides. So, when it comes to the editor’s note, I’ve always been a little suspicious of the genre. Editing, after all, is an invisible art. At the helm of Shenandoah now though, I feel the weight of sixty-eight years of editorship behind me, of the twenty-three years of notes from my predecessor, R. T. Smith, and so tradition ultimately wins over. I will procrastinate majestically, I decide, but I will be an editor who notes things. When Rod took over editorship of Shenandoah in 1995 from Dabney Stuart, he wrote in his first editor’s note, “Dabney leaves me both an excellent example to follow and far more hospitable circumstances than he found.” I hope Rod knows I feel that way too. He navigated Shenandoah’s transition from a print magazine to an online-only one in 2011, and he fought hard for my position at Washington and Lee to be, in his words, as “a full-fledged professorial member of the English Department with a voice and a vote.” That’s where I’m writing from, a place of stability and support that is largely due to Rod’s adaptability, his commitment to this magazine, and his desire to make this editorship an even better situation for whoever came next. How lucky I feel that it is me. 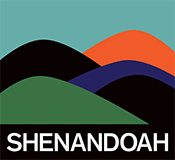 One of my students suggested I get this editor’s-note-thing going by telling the story of how I arrived at Shenandoah. I’ve been asked quite a few times what it feels like to be the first woman editor of a magazine that’s nearly seventy years old. The truth is, my editorial life has been almost exclusively populated by women colleagues, made possible by women who went to bat for me and who taught me the two most important parts of my job: working with writers to maximize the impact of their work and helping that work find its readers. At Arizona State, Salima Keegan groomed me to take over the reins of a nearly twenty-five-year-old magazine—me, who had not heard of a literary magazine until I arrived there to earn my MFA three years prior. In retrospect, I’m chagrined about the lack of editing and design skills I brought to my editorship of Hayden’s Ferry Review from 2007 to 2012. I cut my teeth there, and the bite marks look suspiciously feral in hindsight. I did not know what I did not know, but I became an editor there. At Ecotone and Lookout Books at the University of North Carolina Wilmington, where I worked from 2012 to 2018, Emily Smith and Anna Lena Phillips Bell helped me practice publishing as a rigorous art: creative and disciplined in equal measure. Editing, real editing, was expected in my role, and I learned to love the rare intimacy of the editorial back-and-forth, the opportunity to articulate what often goes unarticulated: what happens in an invested reader’s heart and mind as they experience something they love. The ensuing writer–editor dialogue, coupled with bona fide professional tools—style guides, my Chicago Manual—brought a level of engagement and seriousness to my editorial work that changed my life. When that kind of care goes into editing a piece of writing, the impulse to help it find its readership grows exponentially; the attention to beautiful design and to creative promotion there was a game changer—a natural and essential extension of the editorial process. I hope I’ve brought that attention to the follow-through with me here. The work in this issue matters to me, and I hope it will matter to you. The package and the publicity matter to me too—those details might be part of what brought you here, to this note. Our new logo was designed by the talented Julian Montague, whose midcentury aesthetic felt appropriate for a magazine founded in 1950. Our new website design, executed and finessed by the incredible Jeff Barry, aims for liveliness, clear navigation, and to offer the writing and art as the spotlight. I hope you’ll keep an eye on The Peak, the section of the website where we’ll be adding all sorts of extra content from our contributors: interviews, short essays that give insight into the writing process, videos, and more. And I have by no means edited alone. This relaunch includes a new masthead, where you’ll see the names of my incredible colleagues who have joined me as editors. I am buoyed by their enthusiasm, their expertise, and their willingness to read drafts of this note. And my internship class, also on the masthead, kept me on my toes this semester, and helped with everything from website design to fact-checking to the selection of a cake flavor for our launch party. My great hope is that you’ll click out of here and go read Volume 68 Issue 1. It really needs no introduction, but it does need engaged readers through which to come alive. And hopefully when you’re reading, you’ll forget all about me and this note, which means I’ve done my job.